The global cardiovascular implants market was worth US$ 19.8 Billion in 2018. Cardiovascular implants are used for patients suffering from cardiovascular conditions such as heart failure, myocardial infarction, and peripheral arterial and coronary artery diseases. Depending on their intended use, there are two broad categories of cardiovascular implants. The first type of implants remain inside the patients’ body throughout their lives to support or perform heart functions. On the other hand, temporary implants are utilized during surgeries or other medical procedures for taking over or managing heart functions. 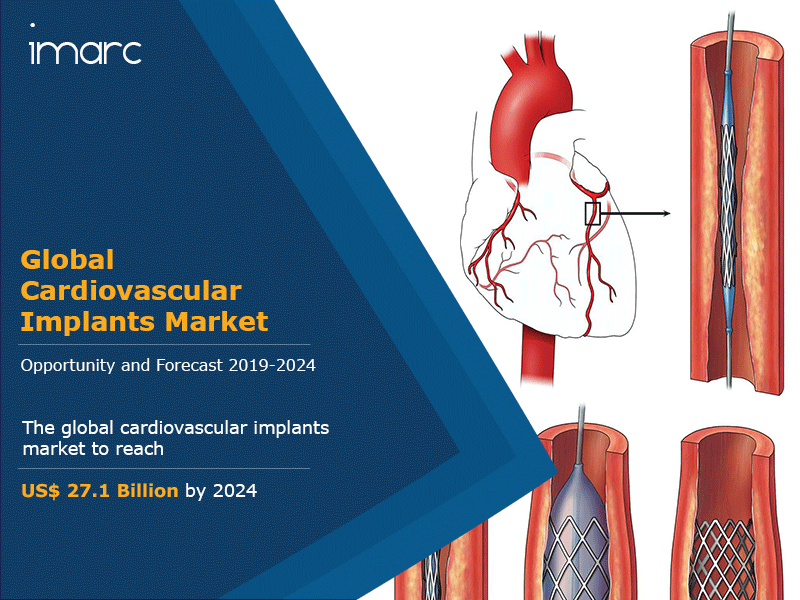 The growing prevalence of heart diseases, owing to changing dietary patterns, sedentary lifestyles and rising geriatric population, has resulted in high demand for cardiovascular implants across the globe.